With this 'super cute' book, craft-queen and blogger extraordinaire Ebony Bizys (aka Hello Sandwich) offers a quirky guide to living a handmade lifestyle. 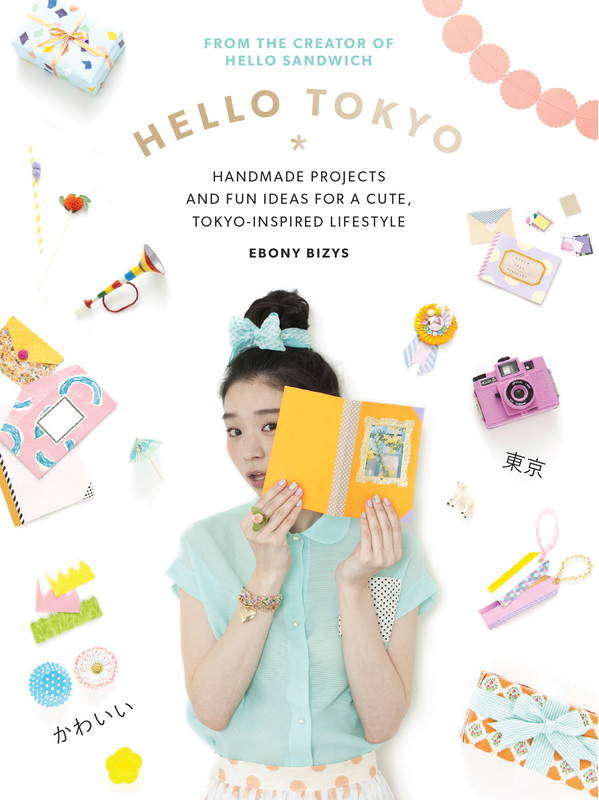 Filled with simple, inventive projects and tips inspired by her daily life in Tokyo, this book captures the charm, humour and originality of Ebony's eclectic and highly successful blog. Featuring ideas galore, you'll find step-by-step guides to help clothing or create thoughtful, whimsical touches that add fun and sparkle to parties and get-togethers. Hello Tokyo offers a window into Japanese culture and captures Ebony s fascination with the myriad treasures of everyday existence. Ebony Bizys is a Tokyo-based Australian craft artist, designer and Instagrammer who records her daily life in Japan on her hugely successful blog, Hello Sandwich (hellosandwich.jp). Before moving to Tokyo in 2010, she worked as deputy art director at VOGUE Living. Ebony collaborates with many influential brands, holds regular craft workshops and contributes to books and magazines. She self-publishes her own zines, and in 2012 released a Japanese craft book that has since been translated into multiple languages.